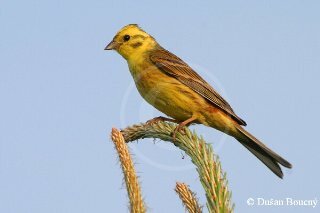 How does a yellowhammer look like? 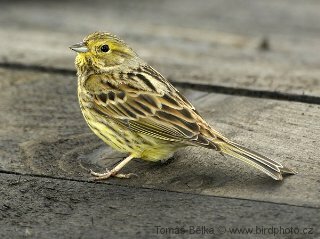 The yellowhammer is a sparrow-sized songbird. 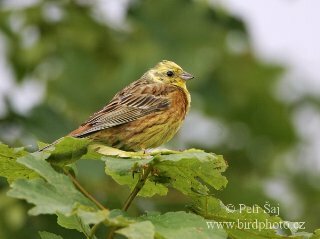 Even when not singing, you can easily recognise a yellowhammer male by brightly yellow head and yellowish underpart; females and juvenile birds are much less colourful. 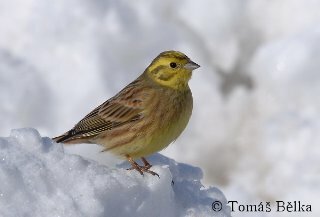 The tail of a flying yellowhammer has white margins. 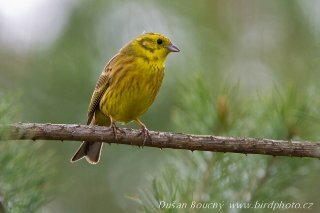 Its beak is short and cone-shaped. How can you recognize its song? 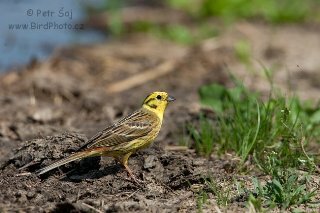 Yellowhammer song is in fact a simple and easy-to-remember melody, often transcribed as "A little bit of bread and no cheese". 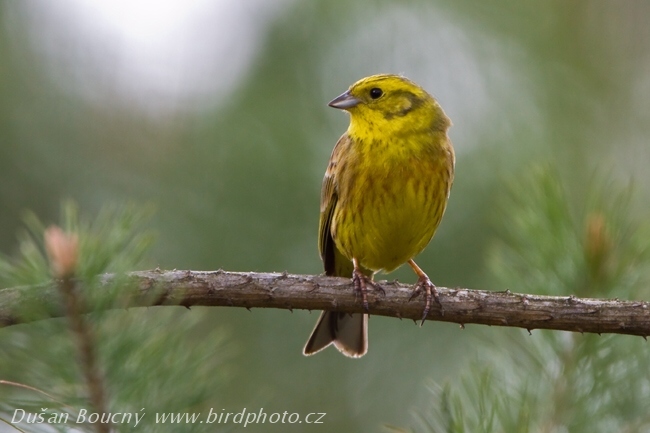 In many common dialects, one should add "please" at the end to complete the song. 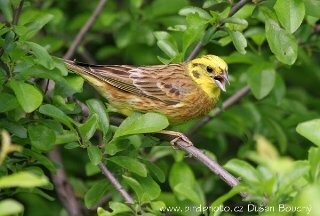 Yellowhammer males are persistent singers. 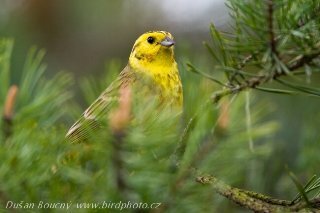 Their pleasant, though rather monotonous, song can be heard from early spring till late summer. 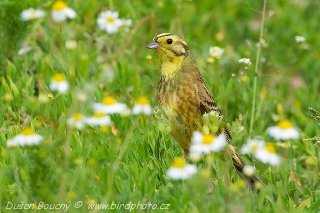 The yellowhammer is most frequently encountered in open farmland with occasional greenery, such as field margins, hedges or roadside vegetation. 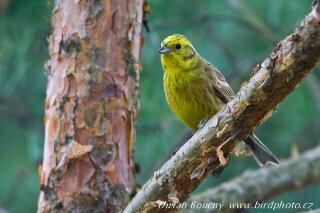 Furthermore, they are common along streams, in sparsely forested areas, and of course at forest edges and clearings. 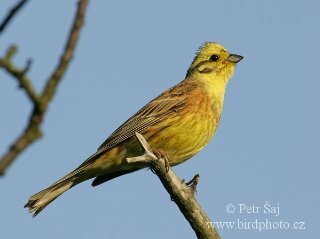 Yellowhammer songs do not sound everywhere the same. By careful listening (or on sonograms), several dialects schematically represented below can be distinguished by the ending of the song. 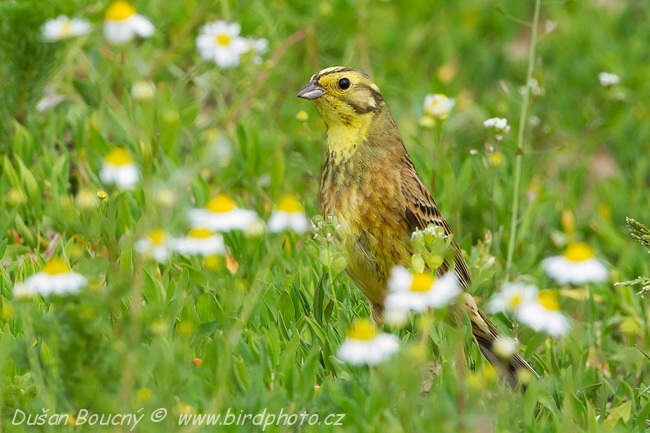 Those in yellow are more frequent in Central and Eastern Europe, those in red in Western to Northern Europe but in many regions they have mosaic distribution. 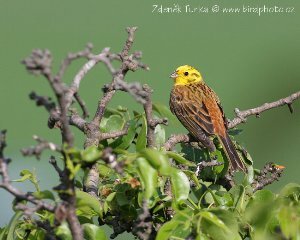 Yellowhammers were introduced to New Zealand for the first time in 1863 by Nelson Acclimatisation Society, with the hope they will get rid of the flood of insects. 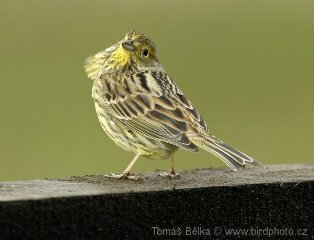 Nobody knew at the time that they hunt insects only to feed their chicks. 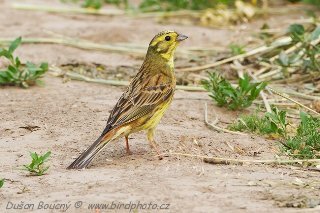 They were subsequently released by other societies (with total sum of released birds exceeding 700 individuals) and spread very rapidly. At the beginning of the 20th century, they were counted as a serious pest and treated accordingly. Boys competed in collection of their eggs, while their parents made some income by presenting heads of killed ones. 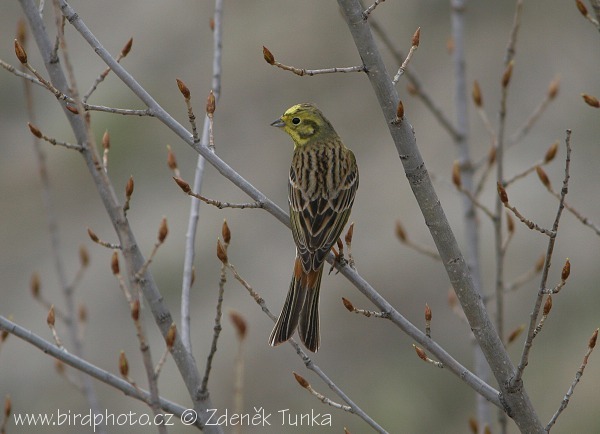 During winter, when birds are less picky due to starvation, poisoned grains were spread. How can I help with the research?